When looking to open a new restaurant or bar, the two choices are to find a new space to rent to use for your restaurant, or to buy an existing restaurant or bar. Often times, spending the money up front to buy an existing restaurant can end up being beneficial in the long run, as opposed to renting a new space and building a restaurant. The main benefits to buying an existing restaurant, as opposed to building a new restaurant in an empty space, are: (1) the existing restaurant equipment; (2) the existing licenses; and (3) the current lease. The first issue to consider is the existing restaurant equipment. Building a new restaurant in an empty space can be extremely expensive, so it can certainly be beneficial to take over a space which is already set up to operate as a restaurant. If you are taking over a space that has not existed as a restaurant before, you will need to install many different pieces of equipment and machinery in order to operate your restaurant. These include an HVAC system, a ventilation system, and fire prevention systems. 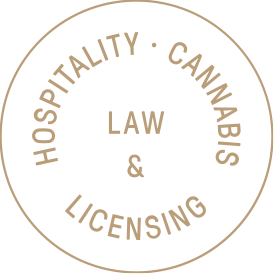 You also need to make sure the premises is properly zoned, and may need to obtain many new permits and approvals from various government agencies in order to operate a restaurant. If you are taking over an existing restaurant, most, if not all, of these should already be in place. There are some questions that should be asked when reviewing the existing equipment. First, what condition are the assets and equipment in? Second, is the equipment owned outright or is it leased? If it is leased, you must determine whether or not the terms of the equipment lease are favorable, and whether or not you would want to assume such lease. We always recommend a thorough inspection of all equipment being purchased. Often times purchasers will be so excited to get started that they will not due their proper due diligence, and will be met with unpleasant surprises following the sale. The next issue to consider is whether or not the existing licenses are in place, most notably, the liquor license. Transferring the liquor license of the business you are purchasing means that you are able to apply for a Temporary Permit in conjunction with your new license application. The Temporary Permit, once approved, gives you the ability to open and begin alcohol sales while your full license is still pending. However, before you begin any transactions with the seller, you must first familiarize yourself with the Temporary Permit requirements, to be sure that their license is transferable. Next, it can also be beneficial to buy an existing restaurant to obtain an assignment of the lease. Many times leases can be found with below market rates, which make it appealing to seek an assignment of the current lease as opposed to a new lease—where the landlord can reset the rent to its current market value. However, you must again do enough due diligence to ensure that the terms of the existing lease are satisfactory. There must be enough time left for you to recoup your investment (and hopefully more), and there must be proper safeguards to ensure that you are not exposing yourself to unnecessary liabilities.